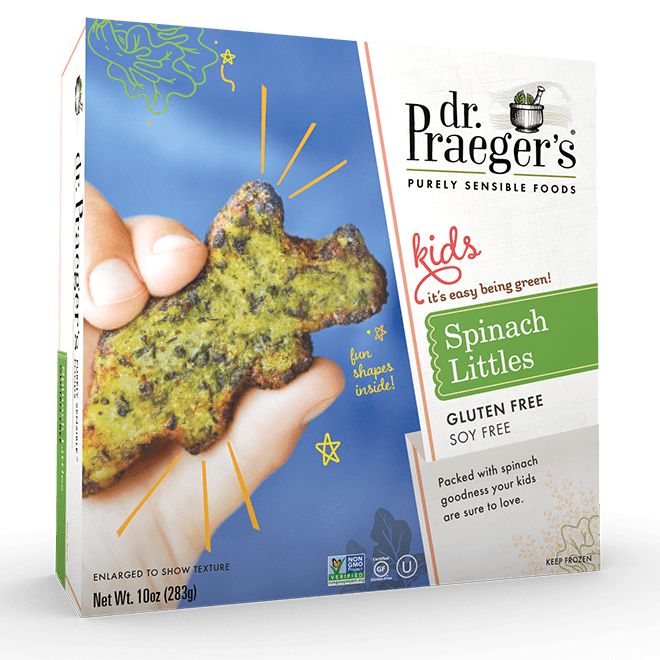 Packed with spinach goodness your kids are sure to love. Fun shapes inside! Preheat a non-stick pan over medium heat. Cook Littles approximately 6 minutes until browned. Carefully flip and cook an additional 3 minutes, until heated through and well browned. Place 5 Littles on a microwave safe plate. Cook on high for 1½ minutes. Carefully flip and cook 1 additional minute. Product should be hot throughout but will not brown. Based on 1100 watt microwave oven.